In the event of a friend or family member passing you are left with countless questions. Among these questions are often “how do I correctly honor said person’s life”? Through the ages monuments have proven time and time again that they are a meaningful way of paying respects. By giving your loved one a monument to commemorate his or her life, you are allowing them a piece of the earth that will last an eternity. the funeral and other traditional events are very large gatherings which limit the privacy you have with your loved one. 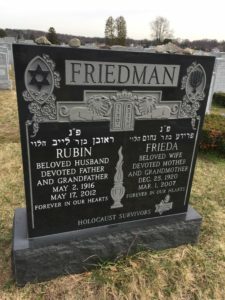 This is why many realize the true value of the Jewish monument afterwards, it allows you a place to physically go “see” your loved one which can be extremely healthy for the body, mind, and soul. 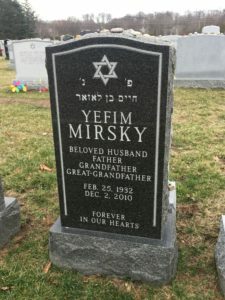 There are many factors to take into account when choosing a beautiful Jewish monument for your loved one. The first of which would be whether you want to use bronze or granite as the base. Granite can be found in just about any color you have in mind so it will offer you a bit more creativity. Some feel bronze has a more traditional appearance and reflects the style of classic monuments. Unfortunately, bronze with all of its shine does not come in as wide a range of different colors. designing and providing all phases of monument related services for the Jewish community within Northern New Jersey. We have outstanding relationships with past customers, high quality craftsmanship and reasonable pricing. We invite you to schedule an appointment at one of our showrooms to look at our selection and see the quality for yourself. You will find that our staff are more than friendly and completely open to any questions you may have. We truly look forward to meeting you. 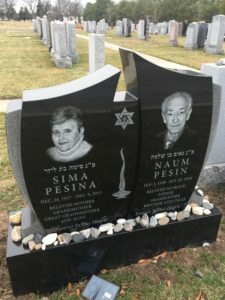 Throughout Northern New Jersey, you won’t find a better source than custom Bronze Plaques made specifically for a Jewish family member. We can accommodate any needs you may have in regards to obtaining a bronze plaque for a monument or burial. Please feel free to call our staff that speaks Russian and Polish as well so we can assist you with any questions you might have at (973) 777-7786. Follow Jewish Monuments NJ Today! Copyright. 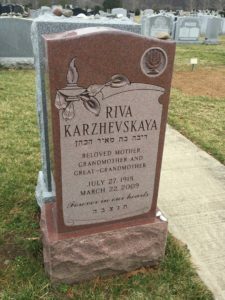 Jewish Monuments NJ | All Rights Reserved. (973) 777-7786 | 262 Main Ave, Clifton, NJ 07014 | 1250 NJ-23, Butler, NJ 07405 | 597 Central Ave, Newark, NJ 07107 | We specialize in a custom design and building of monuments, headstones, memorials and much more all throughout Northern, New Jersey. The areas we provide our products and services for include Passaic, Essex, Bergen, Morris, Hudson, Union, Monmouth, Sussex, Union and Warren Counties, New Jersey.